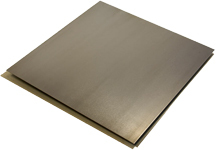 Galvanized steel sheet refers to a process that covers mild steel with a layer of zinc to provide good corrosion resistance. 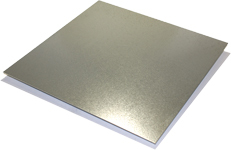 Stainless Supply G90 Galvanized steel, meaning that the zinc coating is a minimum of 0.90 ounces per square foot (total coating, both sides of the sheet). 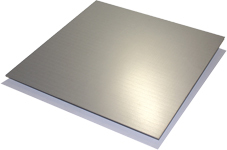 If equally applied to both sides of the G90 Galvanized steel sheet, there would be a minimum of 0.45 ounces on each surface. Galvannealed steel has very similar properties as standard galvanized, but the surface has a more porous and abrasive finish that more readily accepts paint.